Lovely heart shaped necklace with three names + three birthstones. 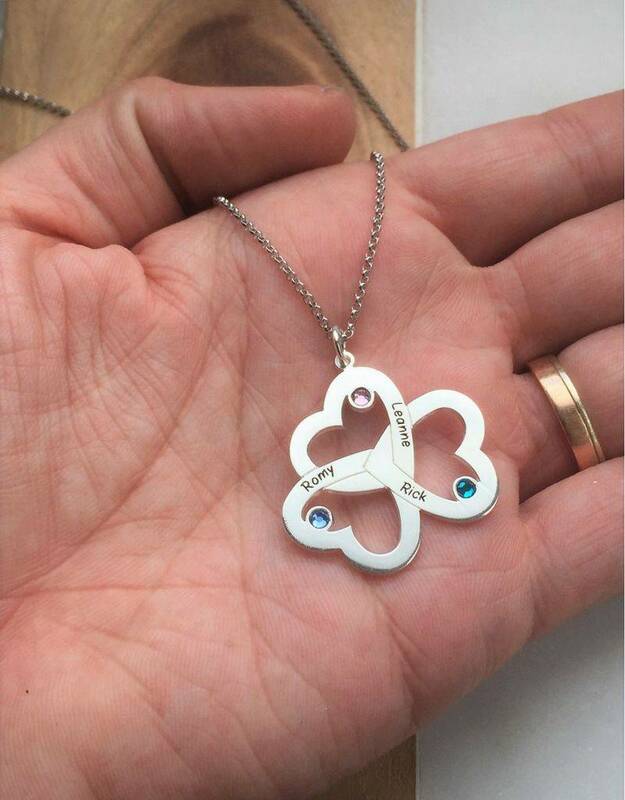 A beautiful way to carry your loved ones with you. 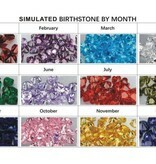 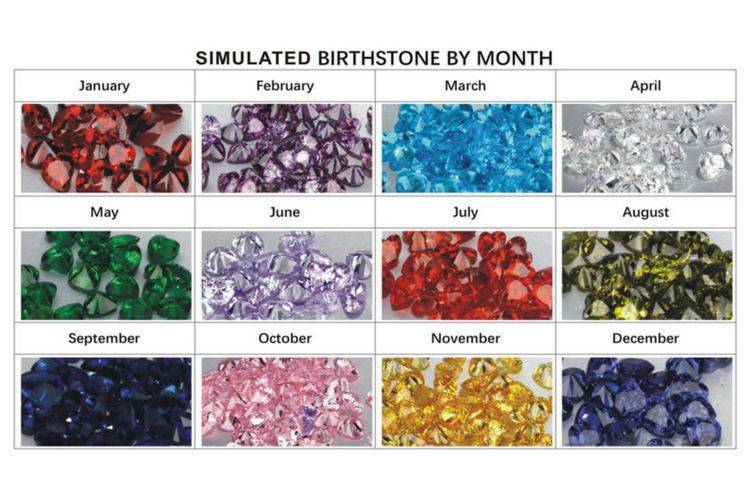 ♥ Match the stones with the month of birth (or any color that you like). 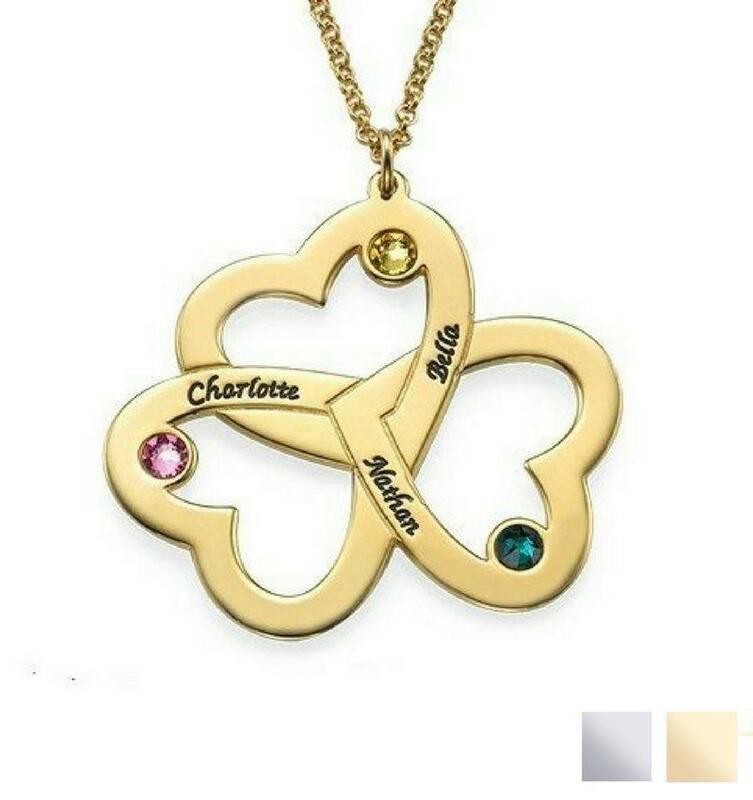 ♥ The perfect way to keep your family close to your heart. 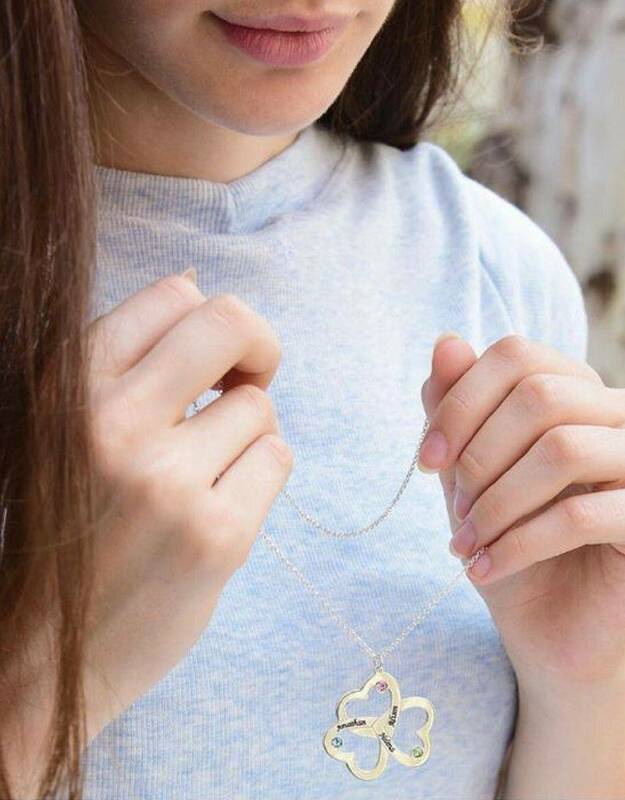 ♥ The first letter is capitalized, the other are lowercase. 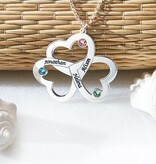 ♥ The pendant is 33 mm x 36 mm. 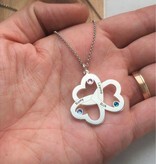 ♥ Handmade by a highly skilled engraver (supplier of many jewellers). 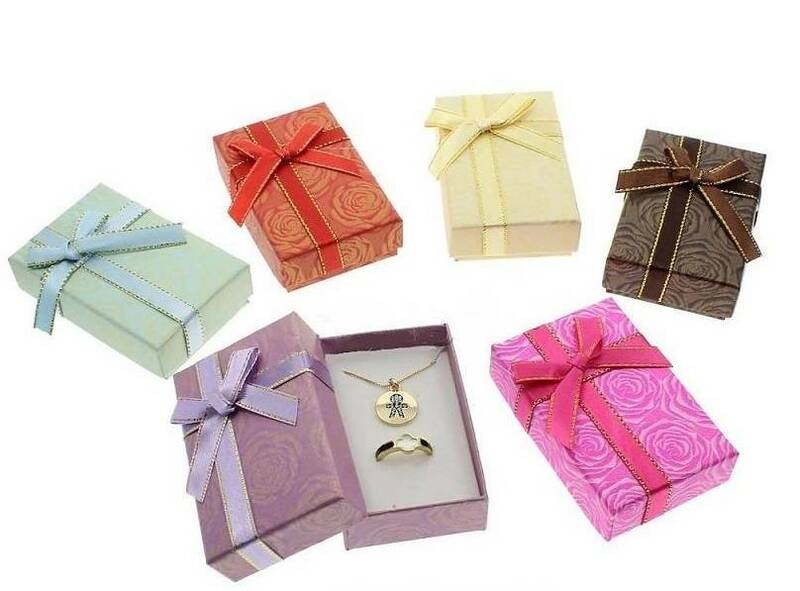 ♥ Luxury packed in a little jewellery box, ready to give as a gif! 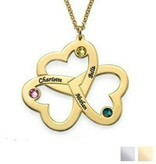 ♥ For each piece of jewellery KAYA donates an amount, so that a child in the Gambia can go to school (CSR recognized).